What all good Irish people need! Comments Off on What all good Irish people need! 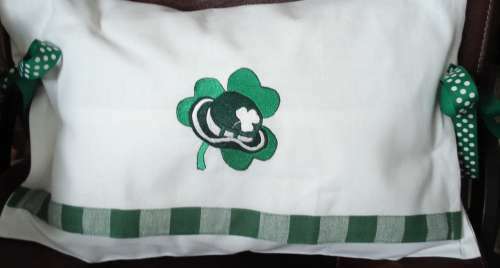 Yes, any person worth their Irish heritage needs this pillow to complete their decor! Yep, they are for sale! Contact me if you’re interested! 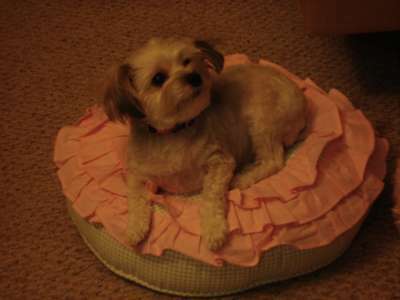 While shopping at TJ Maxx, I happened upon this adorable dog bed and knew that little Sofii would absolutely love it! 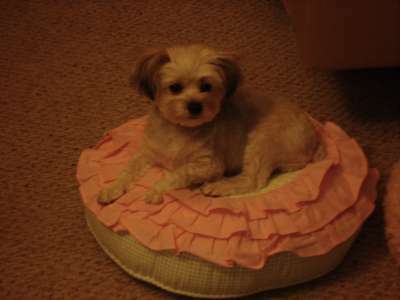 Doesn’t she look adorable on it? It was worth all $12.99!!! She’s such a girlie dog when she wants to be, but can run with the real dogs if she needs too! I have found my profession! Comments Off on I have found my profession! Yesterday while sitting and knitting at Enchanted Yarn and Fiber, I was asked what my background is…..after some prolonged thinking, I said I was good at shopping and making messes. A man that had joined his wife at the shop, said “Oh, you are a messologist.” I love it….yes, I am a messologist. Doesn’t that sound very important? I think I will put that on the tax form this year! Went to T-Pac this afternoon and since we were there QUITE early because the driver of the car never lifted his foot off the gas pedal, I decided to hit the rest room before the performance started. You heard it here people, sometimes conversations in the restrooms are just simply priceless! Can you imagine how excited I was when I found out there is a new giraffe habitat being built at the Naples, FL Zoo!!! I may have to adopt another giraffe! It sounds like it’s going to be very similar to the one at Cheyenne Mountain Zoo, Colorado Springs, CO where my precious LOLA resides. I’m beginning to feel a giraffe trip should be made soon…. It will have the deck where you can feed them, etc. Todd and Amy are keeping me updated. Jack Hanna was there, last night, to start a fundraiser for it. It’s not scheduled to open till 2011….. Does this mean I’m a pro? Comments Off on Does this mean I’m a pro? I’m so excited!!!! 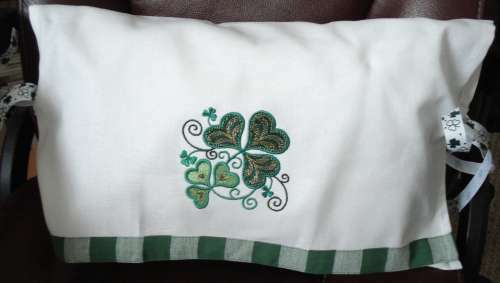 A friend called me today and needed help downloading designs she purchased from Embroidery Library. (If you’ve never ordered from them, I highly recommend them!) 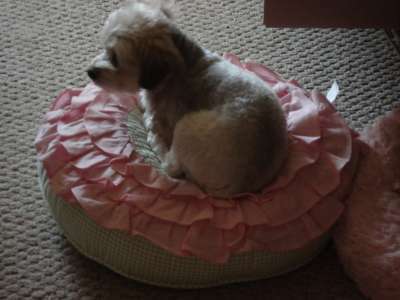 She wasn’t sure how to download the design to embroidery it. Now I can’t wait till hubby comes home for lunch so he can help me do some unzipping of files. I just don’t quite get that yet!